The Node is used in various corporate environments all over the world such as Yahoo, Cisco Systems, Groupon, and GoDaddy. It is due to the fact that Node offers an efficient environment and speeds up development when it collaborates with a single IDE that also has a graphical user interface. Moreover, it offers various features such as computing, authoring, deploying and debugging software code. This IDE offers a free and cloud-based technology that collaborates with different technologies such as Node.js, Meteor, and others for supporting the application development. If you want a powerful online code editor that enables you to run, write and debug the code, this is the best choice for you. An established player in the market, this IDE becomes more efficient with the addition of Node.js for the software development. The text editor of the IDE enables the user to review diffs, makes commits, and debugs the programs. In addition, you can also attach it to your apps and debug them with breakpoints, an interactive console and call stacks. When you require support for Node.js, the best choice for you is Net beans. With a quick installation of Node.js, you edit execute command for the development of the software program in various options. The IDE offers various features such as text highlighters, debugging code and code assistance among the others. An open-source, cloud-based IDE, this software enables the development of the applications by using Ruby, PHP, and Node.js, and more. It also offers various features to the user such as keyboard shortcuts, auto indenting, workspace, collapsible panes, code preview and code folding among the others. This cloud-based IDE is very popular among the programmers who use PHP, Java, Node.js and more for the purpose of web development. 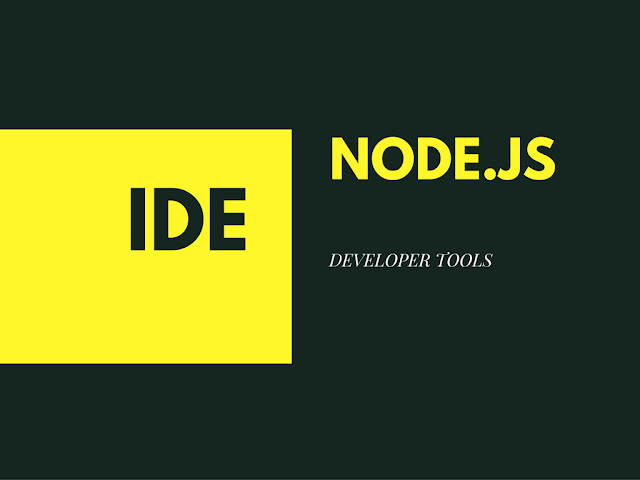 The varied features of this IDE can be easily accessed by using Node.js plugin. Some of the best features include syntax highlighter, and workspace among the others. A cloud-based free IDE for Windows platform, this IDE uses Node.js for web development. It also offers various features such as built-in templates, built-in templates, and its publication to the cloud. Further, this IDE also offers built-in Node.js templates for web and website application development by using O Auth, routing, and Express among the others. A customized UI toolkit, this IDE offers a powerful text editor for markup, prose, and code. Some of the features offered by this IDE include multiple selection options, project switching, and split editing By using shortcuts the user can send his cursor to words, lines and symbols. The user can also manipulate the files as the faster speed by renaming variables. If you want to install an open-source IDE that is related to Adobe systems this is the best choice for you. An advanced text editor, this text editor offer extensive features such as command line integration, code folding, preprocessor support, live code previewing, and inline editing. This IDE also functions as an adobe extension that enables you to extract every type of design information from any PSD file such as fonts, gradients, measurements and colors among the others and turn it into the CSS. Below are some editors that are general purpose editors and many people still like to use them since they are light weight. A notepad replacement, this is a free source code editor that support various languages. The use of this IDE is governed by GPL License, and it runs in the MS Windows environment. Based on Scintilla, a powerful editing component, this IDE is written in C++ and use pure Win 32 STL and API. Due to this software, it ensures a smaller program size and a higher execution speed. It is also eco-friendly as it optimizes as many as routines as possible in minimum time with losing its speed. Based on Apple software, this IDE brings the approach of Apple to its operating system to the text editor world. By combining the features of GUI and Unix underpinnings, this IDE offers the best things from the both worlds to novice users as well as the expert scripters. Developing a software application is not an easy work;for optimal development, the programmer requires right hardware and software tools. The markup and production of code are a hard work and for this cumbersome task, a text editor is the best choice. This is due to the fact that for any software application development process, it is necessary to have control over the code. To work with speed and accuracy, many programmers require an efficient debugging and code editing tools. This is the main reason why options for Node.js IDE’s or integrated development environment have been conceptualized.